Problems with wasps in the loft? Use All Aspects Pest Control - your local wasp exterminator and wasp nest experts. 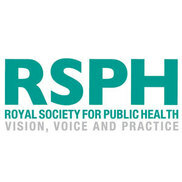 Total wasp control in Reading, Bracknell, Wokingham and Maidenhead Wasps nests in your house? Wasps in the shed? We can help. We only ever see wasps in the summer, where do they come from? The Queen wasp emerges from hibernation around mid-April in towns like Reading, Bracknell, Maidenhead, Slough and throughout Berkshire and searches for a suitable nest site, often a hole in a roof leading into the loft or in brickwork leading to a cavity wall. By late summer an average wasp nest may contain between 3,000 to 15,000 wasps. Wasps prey on other insects and as such they have a natural aggressive behaviour which is made worse when a wasp is harmed or crushed as it releases a series of distress chemicals provoking other wasps to attack. Wasps have even been known to attach themselves to an ‘aggressor’ to act as a homing beacon for other wasps to come and attack! Do wasps eat other insects? Adult wasps don't actually eat; they feed their larvae in the wasp nest chopped up pieces of insect mixed with saliva and in turn the larvae feed the adult wasps a sugary substance which they drink. When the Queen Wasp has finished laying eggs in late summer she dies and once the remaining larvae have turned into fertilised males and unfertilised Queen Wasps there is no more food for the wasp 'drones' that have reared them, the nest is now dying and the wasps starving. They leave the nest searching for sugar rich food; fallen fruit, sugary drinks and picnics are all sources of food. 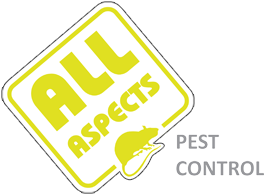 All Aspects Pest Control are wasp exterminator experts working throughout Reading, Berkshire and South Oxfordshire. 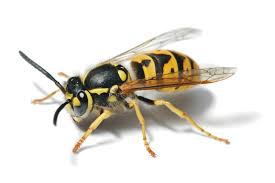 For wasp control in Reading, Bracknell, Wokingham and Maidenhead - give us a ring for a same day callout. Are there different types of wasp? There are four types of wasp and hornet found throughout Reading and Berkshire, these are the Common Wasp which forms a creamy coloured nest with distinctive swirl patterns over the surface. The other common wasp is the German Wasp which is sometimes referred to as the European Wasp; this is recognised by the three dot markings on its face and builds a plain grey coloured nest. Another common wasp is the Tree Wasp and as the name suggests this insect builds it nests in trees and hedgerows and due to its nest building in the open; these are extremely aggressive. Are hornets different to wasps? Yes hornets are different to wasps: currently at large in Reading and throughout Berkshire is the Common or European Hornet; these are much larger than wasps and pack a more powerful sting. Generally they are very docile, much more so than wasps and if their nest is not causing any problems they should be left well alone. The least well known hornet, which has not reached any parts of Berkshire or the South East as yet, is the Asian Hornet or Yellow Footed Hornet; these are alien species and have resulted in numerous deaths on the continent. If these are found they need exterminating as they are a potential hazard to public health. 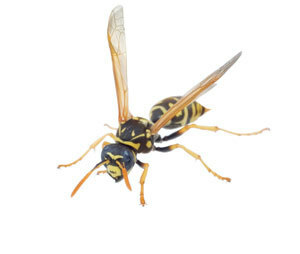 All Aspects Pest Control Reading are wasp exterminator experts working throughout Reading and Berkshire and aim to attend the same day to resolve your wasp problem giving you the chance to enjoy your home and garden. Wasp nests are treated with a modern insecticide that is not toxic to mammals but highly toxic to the insects which results in a fall in activity within hours; we guarantee all our treatments to give you peace of mind. My wasp nest has been treated and now there is a strong unpleasant smell. There are occasions usually in late summer where a treated wasp nest contains a high proportion of Queen Wasp larvae; these are much larger than the usual drones that you generally encounter and when these die after treatment it means there is a greater volume of liquid within the nest. We treat wasp nests with a dry powder and the actual nest material is made from chewed wood pulp; think of something just a bit thicker than tissue paper. 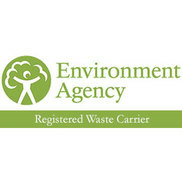 These nests can sometimes decompose with a strong odour which is similar to rotting fish; these will often dry out due to their location within a cavity wall or the loft, if accessible we can arrange to remove these for you, however its worth noting that wasps DO NOT RE-USE old nests so leaving them does no harm.